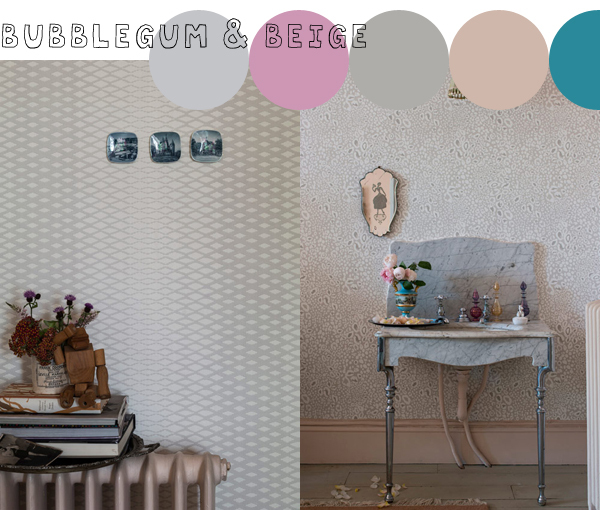 Who doesn't love a Farrow & Ball catalogue and who hasn't got one of their gorgeous paint chip cards, that's probably a wee bit dog-eared by now because you are constantly flipping through it and imagining their gorgeous colours splashed all over your walls!? I know I do and my paint chip card is exactly that! 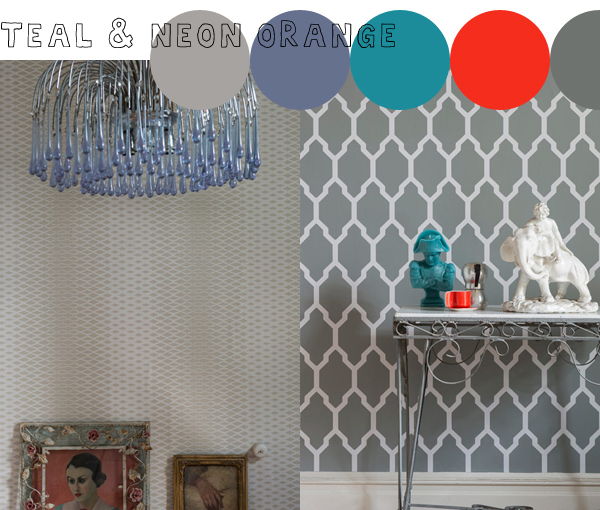 I'm especially loving this last combination of grey, cornflower blue and teal with that fabulous pop of neon orange. 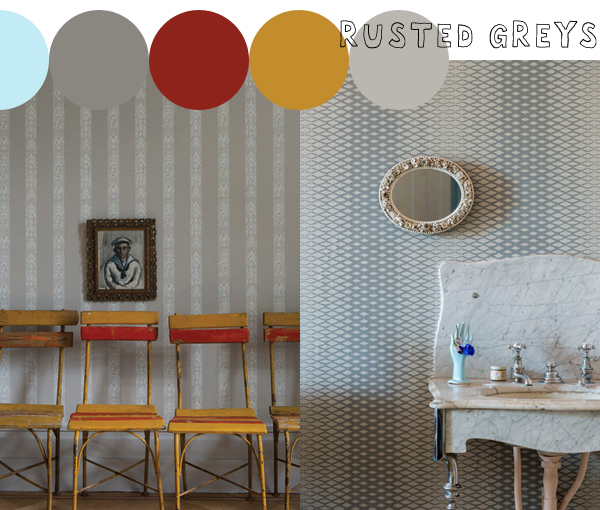 Such a gorgeous retro combination with the geometric Tessella wallpaper. 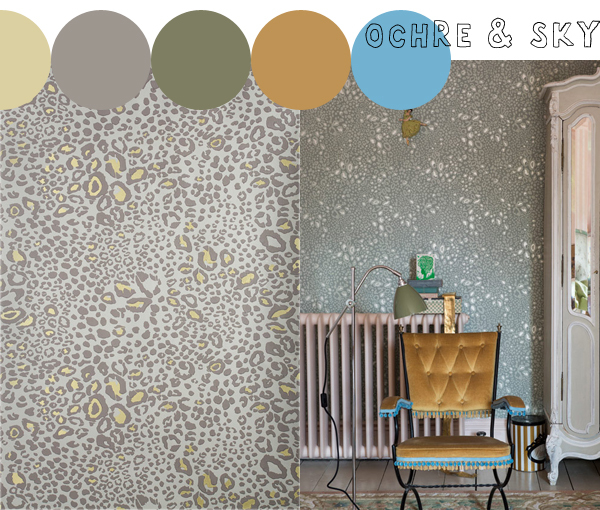 I am in love with Ochre and Sky ! Love these colour combos. Very inspiring! I love Farrow & Ball catalogue. The imaging that simulates color combination, that’s always helpful to generate a new idea for making you living rooms looks better. 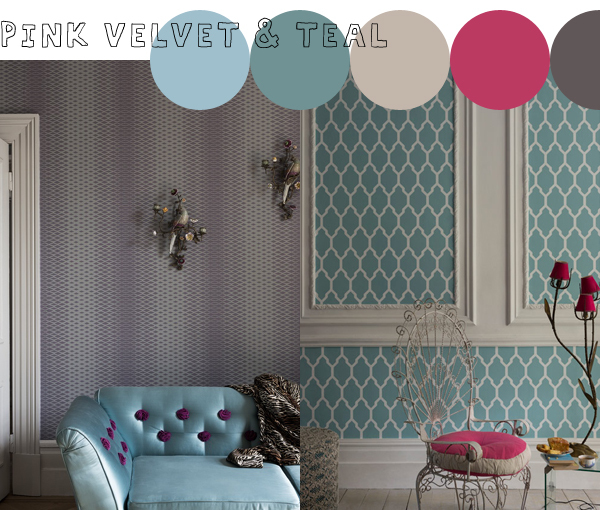 I prefer the second one “PINK VELVET & TEAL”.